Part I of this series briefly covered a few of the highlights of photography leading up to the commercial introduction of digital cameras. Because there are many talented digital photographers practicing their art who have little to no experience with film, I thought it was worthwhile to mention the challenges and limitations that earlier photographers faced prior to the digital revolution which caught up with the photographic industry and then totally engulfed it within the past twenty years. 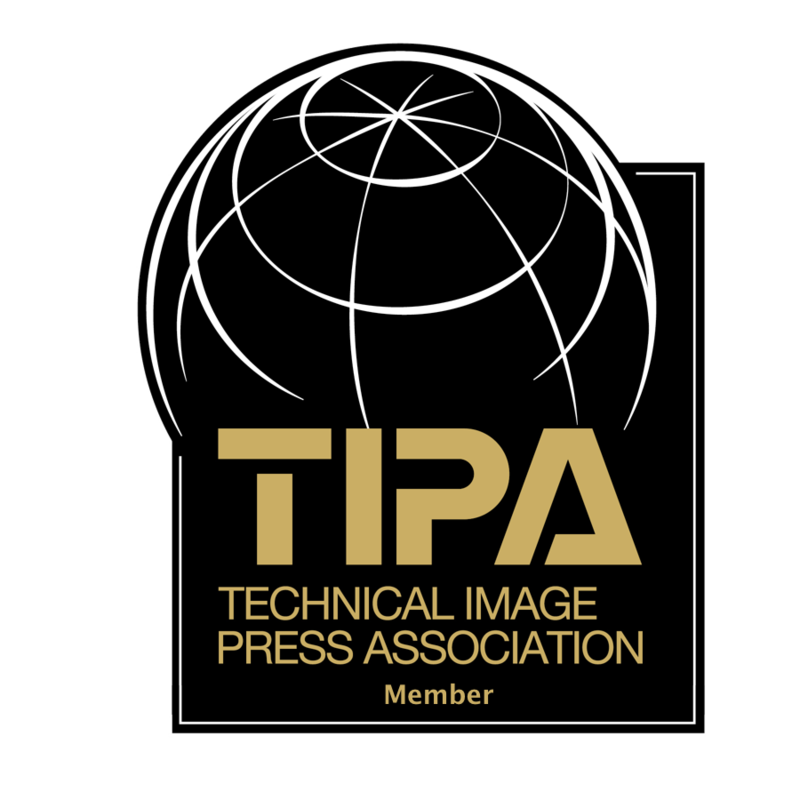 From my perspective, the last 24 months have witnessed camera and lens and introductions from many camera manufacturers that have greatly expanded photographers’ horizons. This is also true of steadily evolving editing software. One particular reason for this is Sony’s drive to increase image quality (IQ) by making the best (and still affordable) photographic sensors in the world. The sensors used in their new A7r M2, A7 M2 and A 6300 cameras lay good claim to this. But, also the fact that several other high IQ cameras like the Nikon 810 series and the Pentax 645Z use Sony sensors lends additional credence. I currently use two camera systems built around the A7r M2 (along with an A 6300) and the Pentax 645 Z. The following observations on how technical advances have improved IQ and facilitated faster and more accurate capture are based on my experience with these two systems. 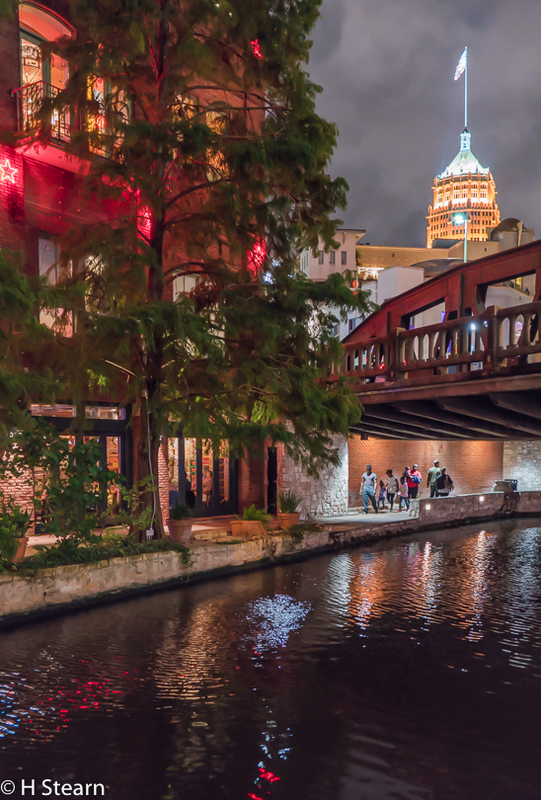 In the previous article, I published an image of San Antonio’s Riverwalk that I took one evening in October 2015, and stated that this image could not have been successful without a number of key features incorporated into Sony’s A7r M2. By successful I mean strongly conveying the nighttime ambiance and activity to be seen in that location. High Resolution to capture the large amount of detail, high ISO with low noise to adequately expose in very low ambient light, and 5-axis image stabilization to avoid blur at 1/25th second were all necessary here. A tripod at a slower speed and lower ISO would not have worked because there would be excessive subject blur of the pedestrians in the background, where they were perfectly positioned. A faster shutter speed would have raised the ISO even higher creating more noise. Not a camera factor, but important was the use of a superb Sony Zeiss 35mm f1.4 lens which helped provide great sharpness, smooth tonal transition and contrast. As stated above, these three factors were all important to the above image. The rest of this section will be devoted to analyzing 14 additional images for which at least one of these factors is critical. The four additional factors involve camera and lens design as well as improved editing software capability, and will be delineated in Part III and illustrated by another 15 images. High-resolution cameras have been around for a while, but mostly in the form of medium format backs. Manufacturers, and Sony especially, have done much to provide high resolution in reasonably affordable sensors. 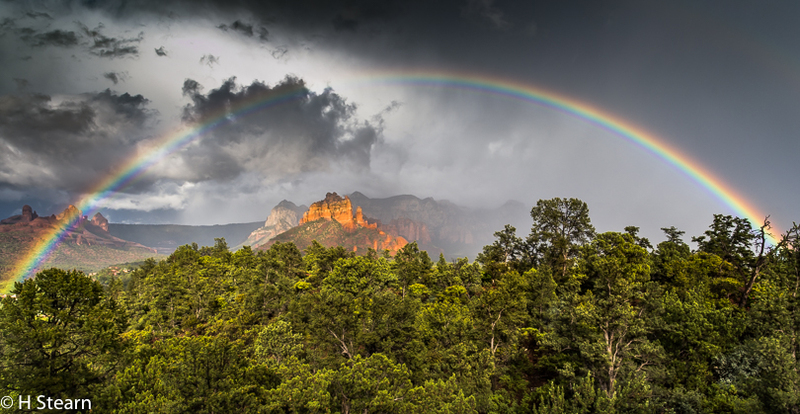 The ultra-wide scope necessary to cover the full rainbow meant a corresponding wide swath of wooded terrain. Without sharp detail, this image would not seem as real. Weather sealing for both the camera and lens was liberating, as this image was taken in the rain. 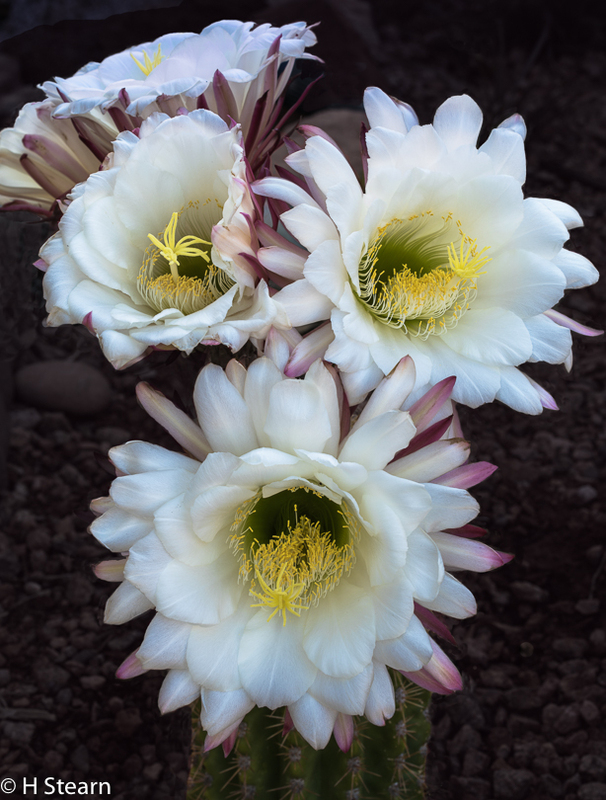 The size of these giant cactus flowers along with their delicate texture required high resolution. This exposure was made on a tripod before the sun crested the nearby ridge. 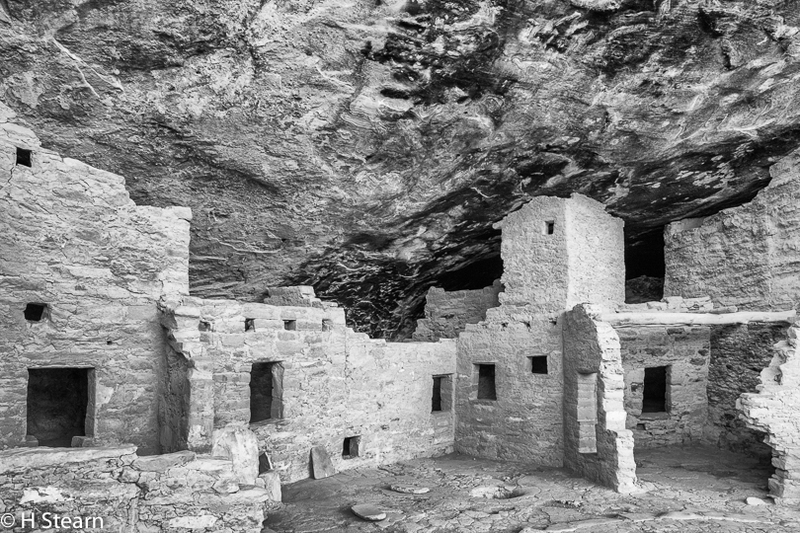 Masking made easy by Photoshop CC 2015 substantially darkened and desaturated the out of focus but distracting crushed red rock background. The most important contributor to this image is the very high resolution of the Pentax 645 Z and the Pentax 645 D 28-45mm f4.5 lens. The proper rendering of the fine detail of wildflowers and natural decomposed granite adds a lot to this image. Also helpful was the camera’s ability to tame the extreme contrast of the harsh desert lighting. Because I thought my day’s shooting was done, and had packed up my tripod, I had to take this image “handheld” to capture the wild sky before it disappeared. Lens image stabilization and 1/1000 s made that very doable. The swans were close to me. So, I used a 35mm lens to give space around the subject to allow for movement. The combination of the Sony A7r M2 sensor with the Zeiss 35mm f1.4 lens again achieved a smooth tonality and plasticity in this image. My camera with a 150-600 mm lens was mounted on a tripod and set up for horizontal shots. 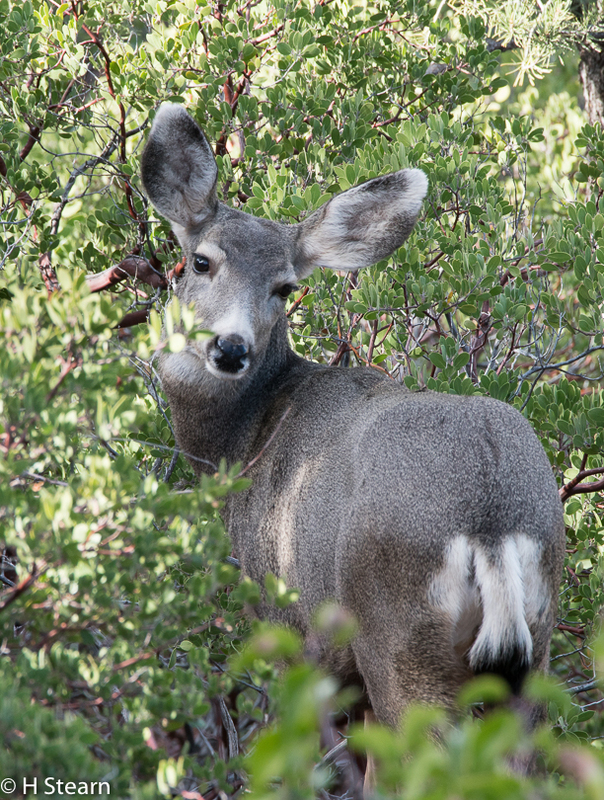 The momentary pose of this doe was better suited to a vertical composition. But, there was no time to change camera position. With 42 MP, no problem! My initial composition included a beached rowboat in the foreground. Later, I found that cropping out this part of the foreground and a little bit of busy detail on the right margin greatly improved the image with little impact on print size. From my perspective, this has been the closest advance toward a real breakthrough. As a landscape photographer I have used tripods regularly, but view them at times as a necessary evil. Tripods slow you down. If perspective and position need to change quickly, or something dramatic is developing 100 feet away it is cumbersome to pick up and move over, even with L-brackets and quick release plates. High ISO/high IQ images open up a whole world of images that often been missed opportunities in the past. There is something freeing about setting a Sony A7r M2 or a Pentax 645 Z on Auto ISO, setting the desired shutter speeds and apertures manually to fit the situation, and letting the camera set the ISO, knowing that you will still get an excellent image. 5-axis image stabilization, discussed later in Part III, is a very recent innovation that takes photographers further in this direction, and stimulates creativity. 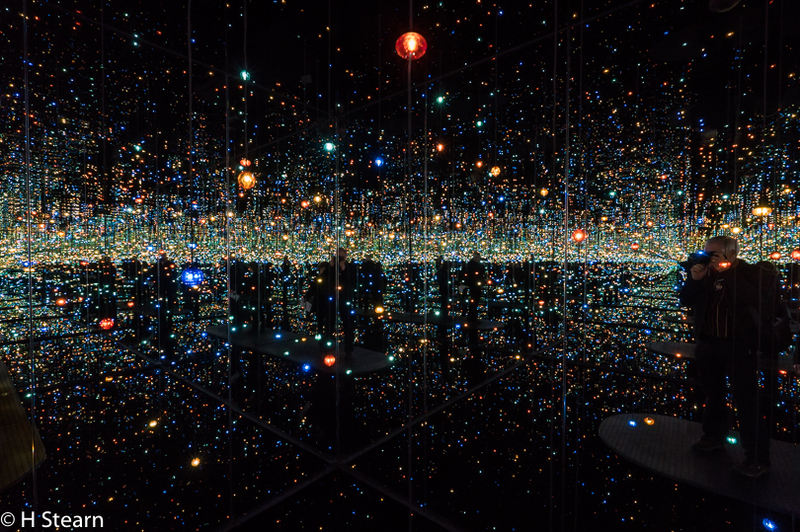 Kusama Infinity Room, Broad Museum L.A. The Sony A7r M2 with a Sony Zeiss 16-35 mm f4 was a good choice for this image. Despite the many little diode lights, this room was so dark that it took 15 seconds for my eyes to adjust. The room was very small. But it was lined with mirrors, while the “floor” was confined to a tiny platform surrounded by water. An ISO of 6400 was as low as I could go as I needed f8.0 for sufficient depth of field to keep all the reflections sharp. Similarly, 1/60 s was the lowest shutter speed that I felt comfortable with since there was nothing to brace myself against. The Sony performed well under these conditions, even recording detail in my face. 5-axis image stabilization was also a factor in making this image. A lower ISO would have been sufficient if all I wanted was to record the Canadian falls section bathed in colored light. 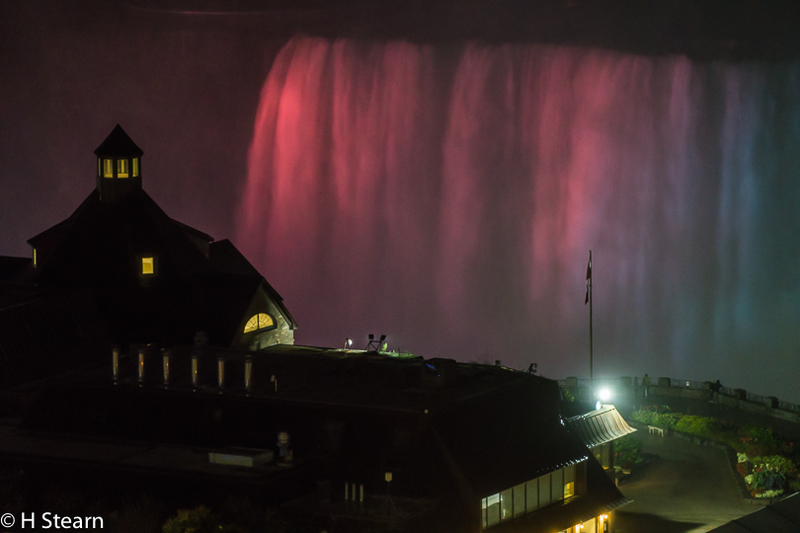 However, I felt that the more dramatic picture was a sharp rendition of the building in the foreground with the Falls appearing ominously in the background, brought closer by the 200 mm lens. 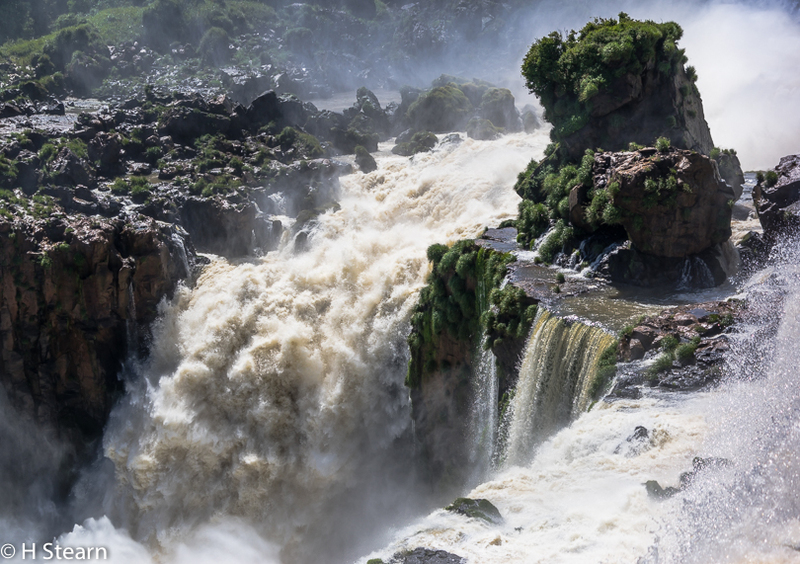 Even at a distance of two blocks, the falls were out of focus at f5.6. But at 1/6 s they would have been blurred anyway and increasing the shutter speed would have been self-defeating because the ISO would have to have been increased to compensate. The prescribed balancing act turned out to be effective. Because this part of the Cliff Palace ruins was well shielded from the sun, an ISO of 2500 was required to properly expose this scene at a moderate shutter speed of 1/125 s and an aperture of f8 to provide adequate depth of field. For this image to work, it had to be sharp and contrasty. And, even though I chose a B&W conversion, the colors at the higher ISO had to be undiminished by the higher sensitivity in order to get a crisp accurate tonal recording. This is not a great image, as I had to shoot at ISO 32000 to get anything at all. At this sensitivity, it is almost impossible to eliminate all noise by noise reduction routines without losing edge definition as well. But, the image does convey the scale of the exhibit and the fun in seeing it. 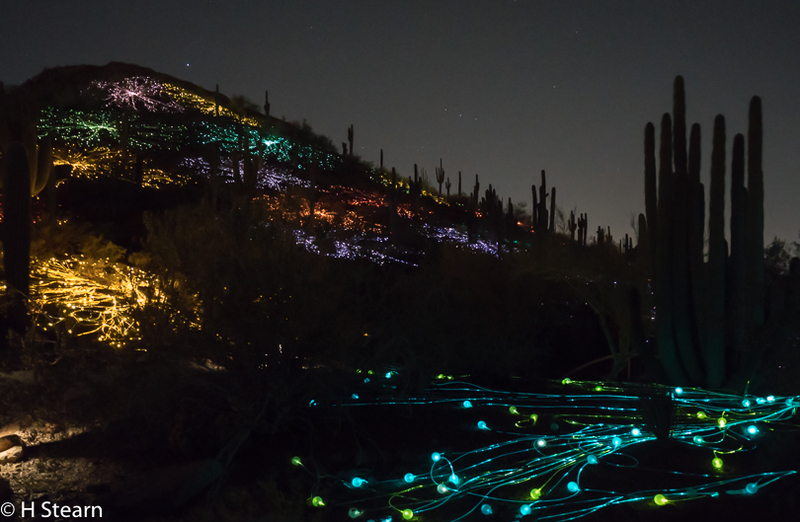 The cactus silhouettes help define the image, and stars are plainly visible without blur from the Earth’s rotation. The point is that ISO 32000 today is much improved from two years ago. 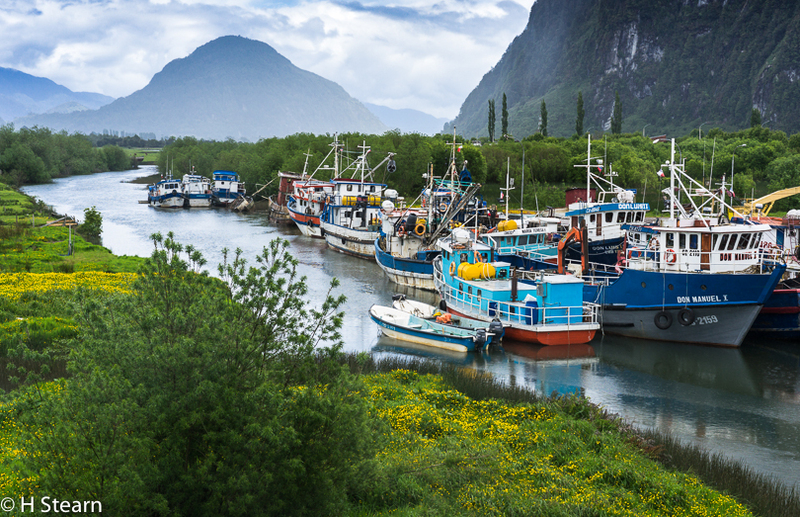 Digital sensors won the battle with film over higher dynamic range early in the contest. Today, the Sony sensors are at the forefront in making it possible to tame almost any kind of lighting situation. According to DXOMark, the Sony A7r M2’s sensor tests out at 13.9 stops range. 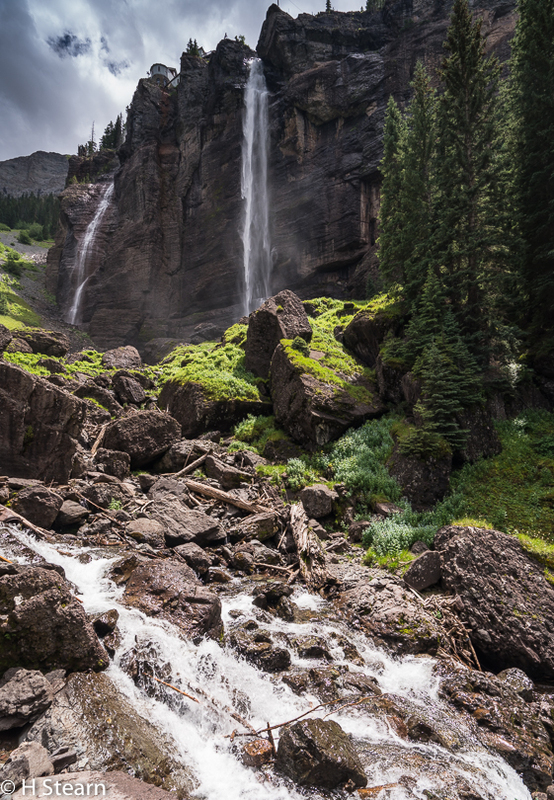 The Nikon D810 has an astounding 14.8 stops. 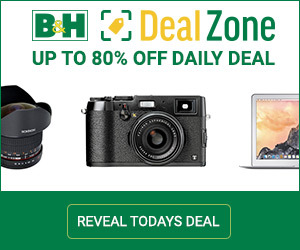 Both of these cameras seem to be leading the pack; and the D-810 uses a Sony sensor. DXOMark still hasn’t tested the Sony sensor in the Pentax 645 Z. But, after regularly seeing images produced by my Z, I have no doubt that its HDR is up there with Nikon. It used to be standard practice for photographers to photograph landscapes in overcast conditions. Not anymore. Now we have opportunities to capture beautiful locations in all types of light. Talk about stimulating the creative juices! Photographing a sun-lit churning brook with dark rock walls in shadow is always a challenge, particularly on a partly cloudy day with shifting highlights and shadows. The above image shows how well the A7r M2 handled that lighting and conveyed the exuberance of a beautiful day in the Colorado Rockies. 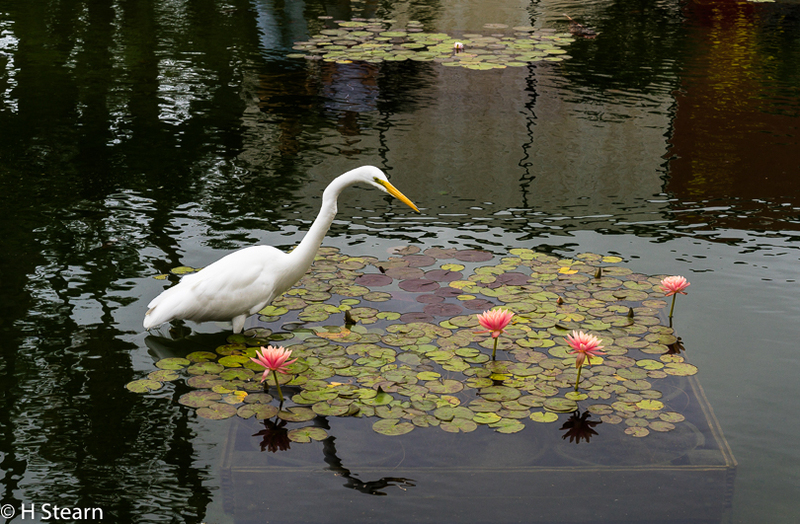 Photographing a white egret against a dark background on a sunny day is a good test of a camera’s HDR. This image has no burnt out highlights and the important shadows show detail. It was taken with a Sony A7r which has good HDR. The Model II which I now use would do even better. But, this image captured what I wanted. 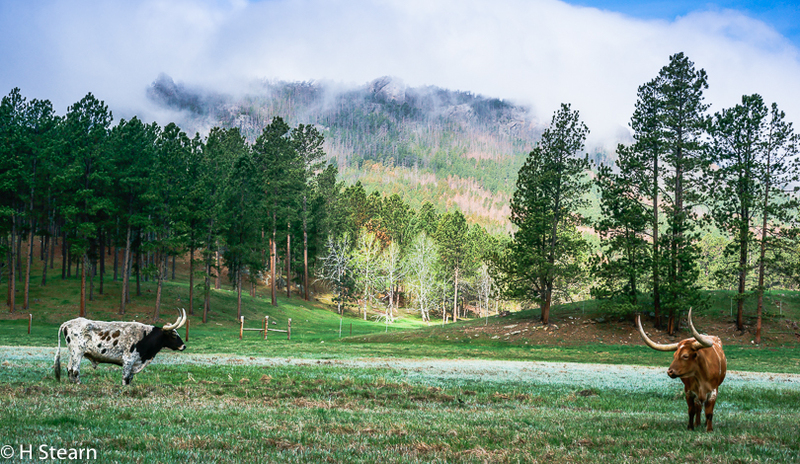 When I first saw this scene on my drive through Black Hills country I got very excited. The two bulls seemed to be warily eyeing each other; and the low lying clouds were starting to burn off. But, the pasture was in deep shadow while the background was very bright, creating a very wide range of tones. My A7r M2 would have handled this scene easily. It stretched the limits of the A7r. With considerable editing, I was able to get this image to conform to what I saw in my mind. It’s one of my favorites because of the tension created by placing the bulls at the extremes of the frame. A lot of foamy water on a bright sunny day requires careful handling to avoid losing important information in the dark tones. Exposing to the right (ETTR) is critical to capturing this scene. In this particular image, the large shrub-covered rock showed up very dark on the un-edited RAW preview, even though I “over-exposed” as much as I could. In retrospect, if I had my A7r M2 then, this would not have been an issue. Once again, using the A7r which is no slouch on HDR still required very careful editing. 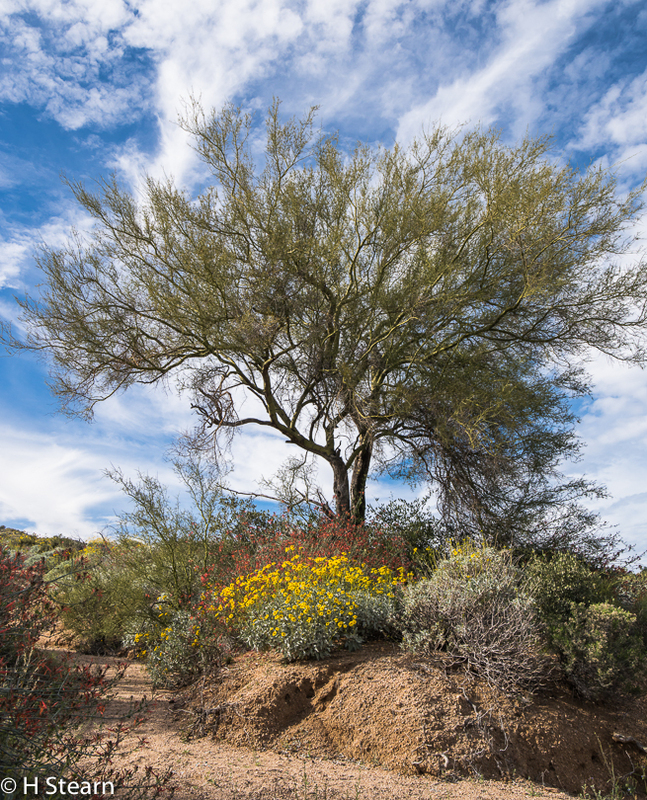 I was able to show enough detail and color for the abundant shrubs to preserve the visual interest of this scene. In the 3rd and last part of this series I will be writing about and illustrating the importance of four non-sensor design improvements of equipment and software that stimulate and promote creativity.